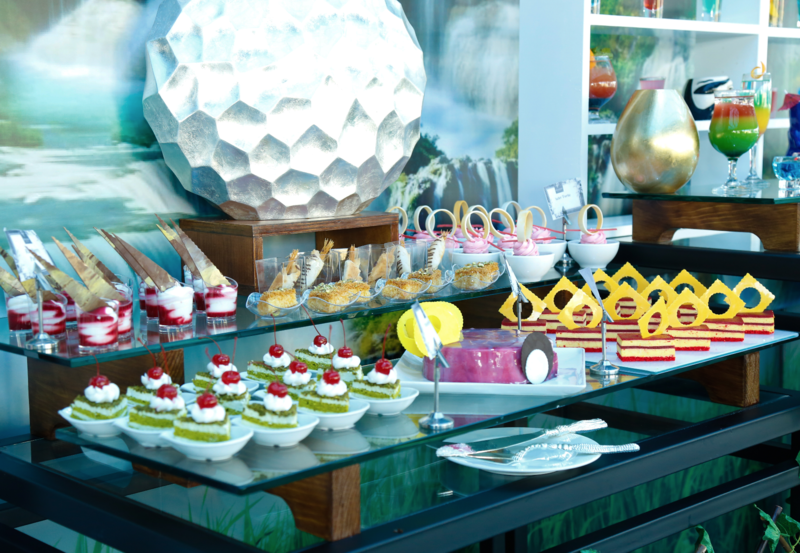 Bahrain Confidential > Articles > Lifestyle > Dining > Gulf Suites Hotel Amwaj puts a bunch of fun on their Friday Brunch! 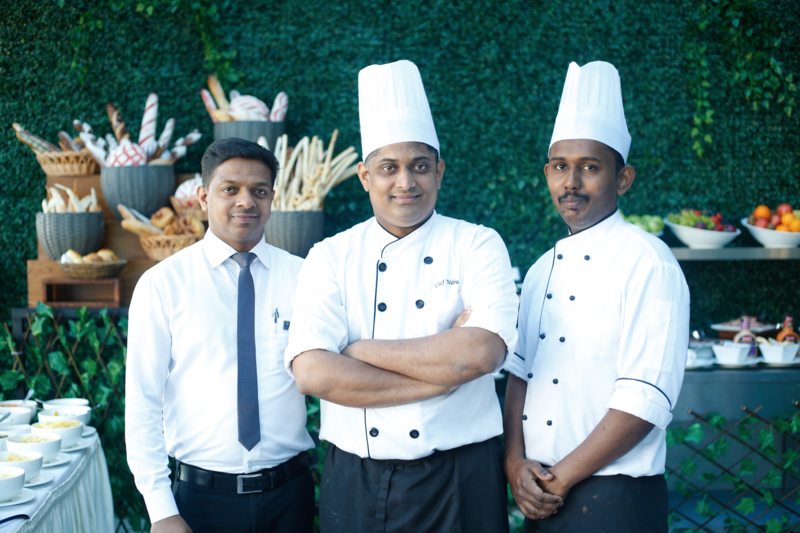 For those who are tired of seeing the same old style of brunches, Gulf Suites Hotel Amwaj offers ‘Frunch’, a fun-filled Friday Brunch at Rainforest Lounge. As we entered Rainforest Lounge, an eclectic array of mouthwatering dishes welcomed us. The vibrant rainforest haven transforms into a chill place during the day, providing a casual setting for a relaxing weekend. 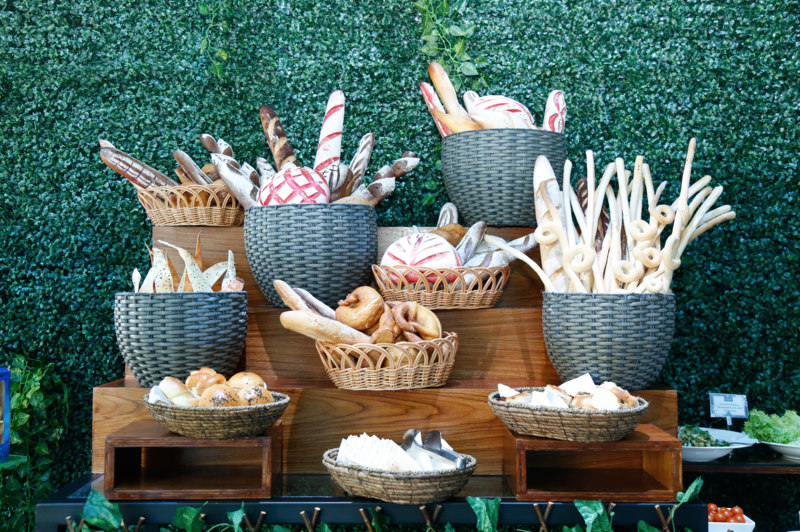 Dubbed ‘Frunch’, the Friday Brunch runs from 12nn to 4pm. The spread includes international offerings, Pan Asian cuisine as well as some traditional Arabic dishes. 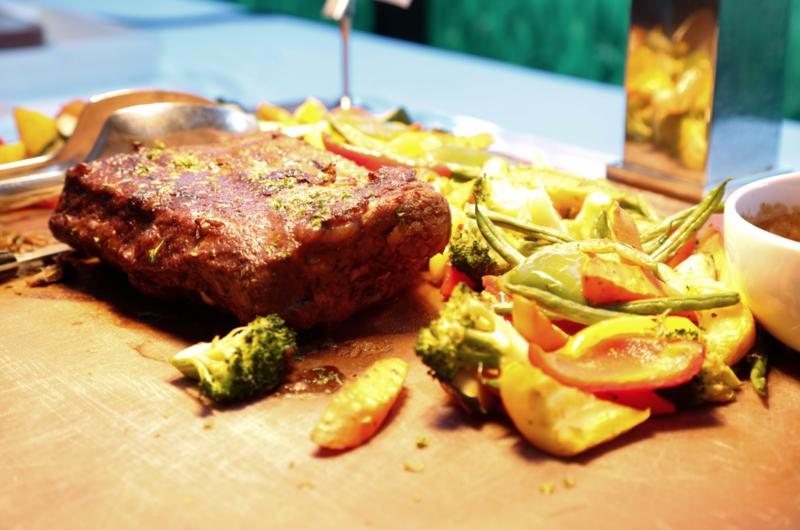 Fitness aficionados will rejoice with numerous healthy options for starters. Once you’re happy trying all the salads on display, you can also create your own version at the salad section. Burgers, sandwiches and wraps are also available for the little ones! Of course, the star of the Frunch were the main dishes. Diners will be pleased to witness the diversity of cuisines available at Rainforest Lounge. Our favorite was the juicy and tender Herb-crusted Lamb leg with Jacket Potatoes and Onion Gravy. Additionally, there’s plenty of fresh catch where you can select your favorite seafood and have it cooked right in front of you. Decadent desserts will surely satisfy your sweet tooth! 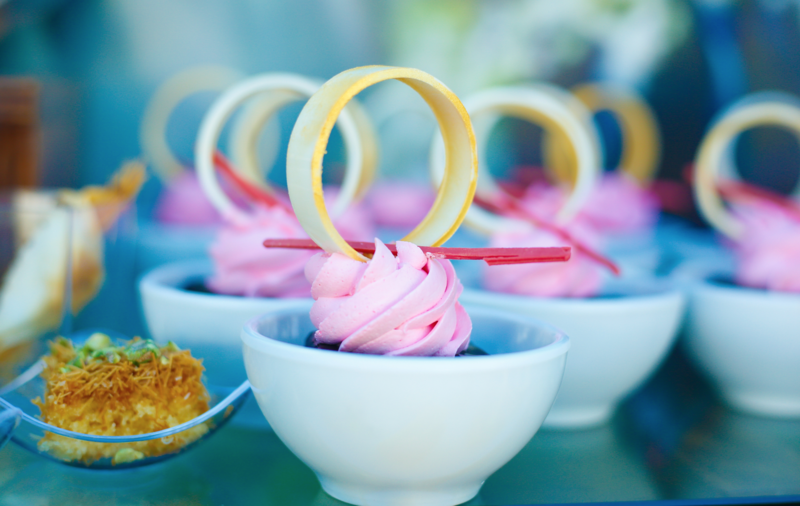 Tarts, cakes, parfaits – name it and Rainforest Lounge has it! If you think that the fun stops there, you’re wrong! The Frunch also included billiards, darts, beer pong as well as access to the swimming pool. We definitely had a fun-filled Friday at the Gulf Suites Hotel! The Friday brunch with an all you can drink package is available at BD21 net while the package with only soft beverages can be availed at BD15 net. Kids below 12 is priced at BD9 net and kids below 6 can eat for free. Special discounted prices are available for group and advanced reservation. Rainforest Fun Filled Friday Brunch is an ideal place for all you can drink and eat at a reasonable price! The restaurant is already a popular destination during weekends thanks to its themed nights, and it’s easy to imagine people from the city and beyond drawn in on a Friday night too!